Hello everyone! It's my turn to post over at Twine it Up! with Trendy Twine. Today I have a quick card using Lemon Tart Trendy Twine, Lemon Tart Sequins, and the new Smile stamp set. 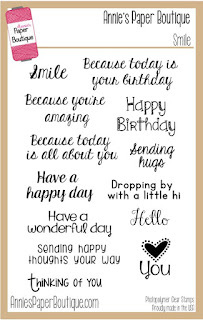 I just love this new stamp set -- it has great sentiments and I just love the different fonts used on them. 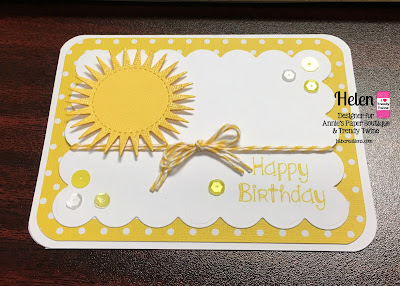 I need a few birthday cards this week and this set was perfect to use on my sunshine card. I used a die to cut out the sunshine and the white scalloped base. 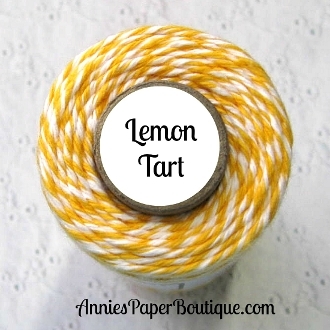 I wrapped some of my Lemon Tart Trendy Twine around the card twice and then tied a double bow on there. 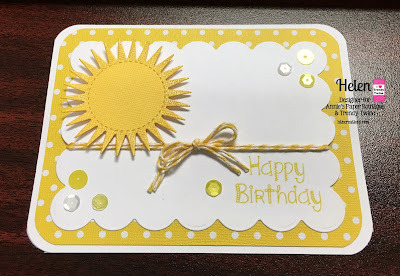 The sun is pop dotted on and I stamped the Happy Birthday on the bottom right. It needed a little more bling so I added several Lemon Tart Sequins and some Clear Wink of Stella to the sunbeams on the sun. All the yellow makes me happy and I think the person getting the card will like it too. 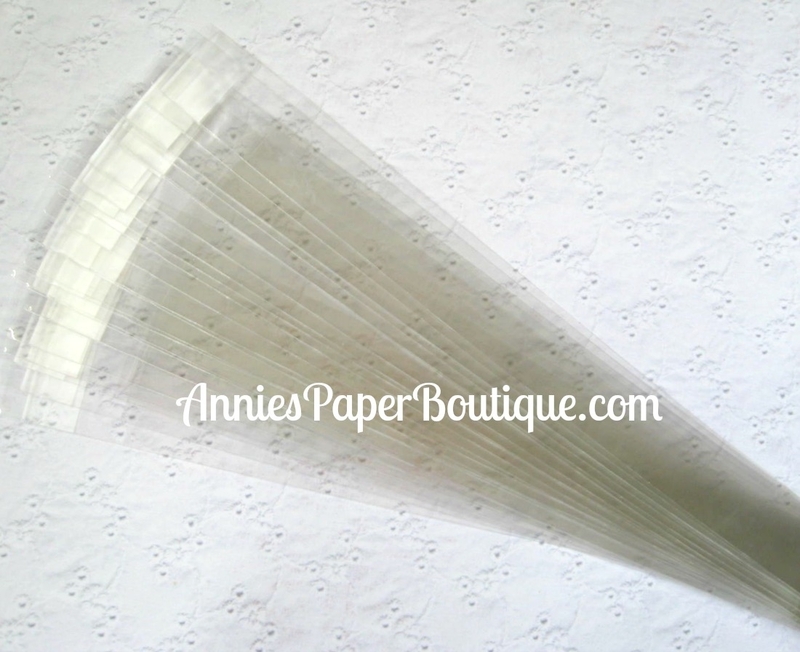 Be sure to keep vising the blog all month--there are lots of fun projects still to come! We are so thrilled to be sharing our new stamp sets with you today. Two of them focus on memory keeping/journaling and the third one is a collection of everyday greetings. All of them are super fun and are sure to make you smile. 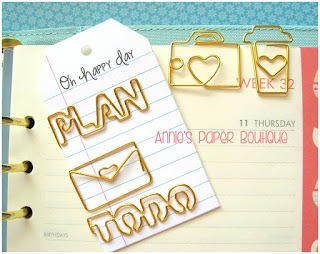 We also are releasing three more planner clips. 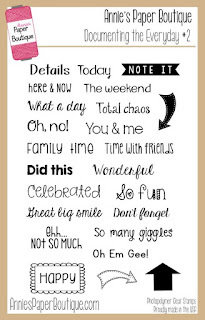 These cuties can be used on your notebooks and journals and are perfect on a layout, too. The design team has created some amazing projects for you. Have fun hopping and we hope you will find some crafty inspiration along the way. Here are my projects using the Documenting the Everyday #2 Stamp Set. 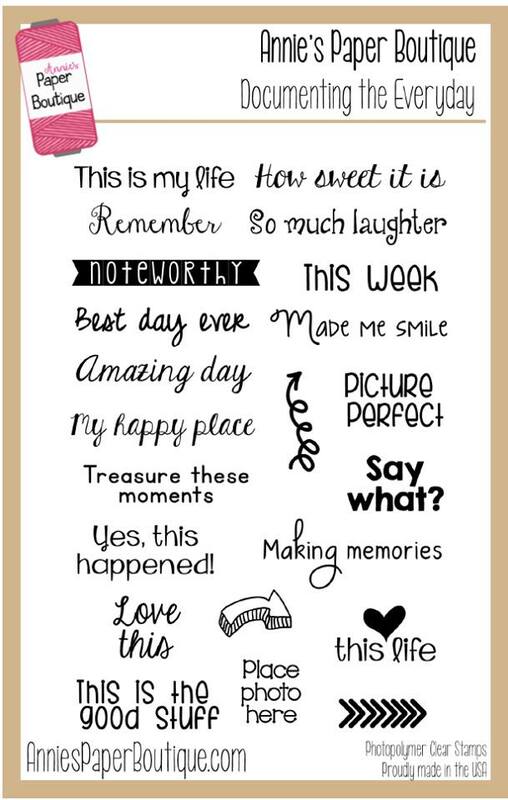 I have not been memory keeping much lately, but I made a few tags I can use for journaling when I get back to it. 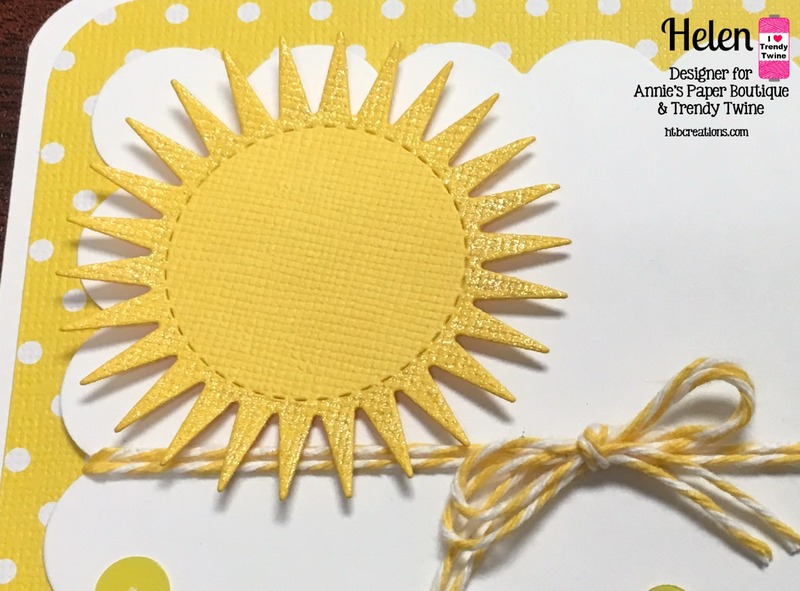 In addition to the fabulous new stamps, I used a few colors of Trendy Twine on these. There's Totally Red, Pinkberry Sorbet, and Lemon Tart. All the tags and die cuts are from my Cricut Machine. And I did use some Clear Wink of Stella on the cupcake and the swirl and some Nuvo Drops on the top and bottom tags. 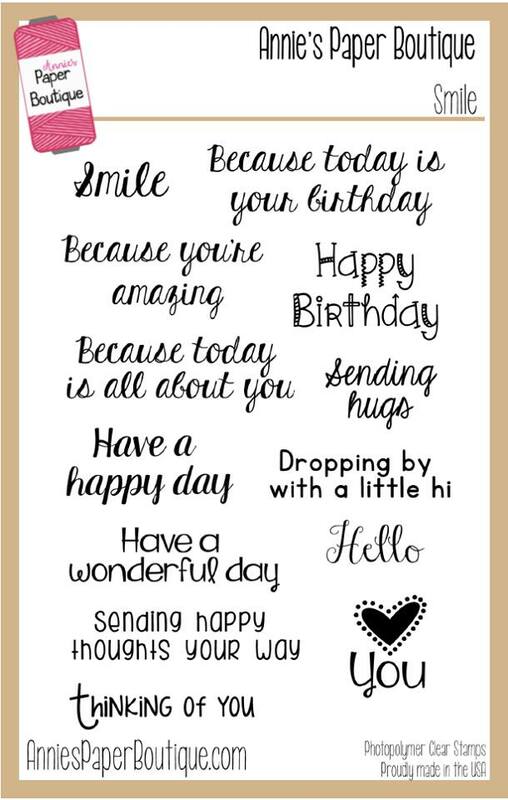 This is a card I made with the fun new Smile stamp set. I will definitely be using this set a lot on my cards. 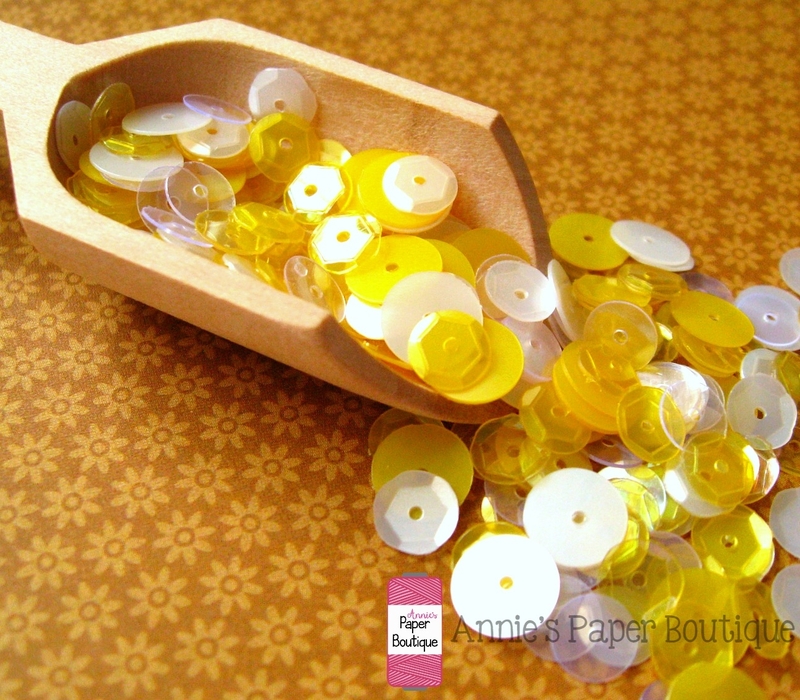 The flowers are die cuts that I add some clear Wink of Stella to the edges and yellow centers. And those are some blue Nuvo Drops -- They are not the same size, but I am starting to get the hang of them slowly. I added a small bow of Blue Berry Trendy Twine too. You can’t have a blog hop without some awesome blog candy. We are giving away a set of our Documenting the Everyday stamps and a set of our planner clips (including the new ones released today.) So we will have two winners: one gets the stamp set and the other gets the clip set. What do you have to do to enter? That’s super easy. Follow and comment on each blog in the hop (including this one.) You have until 11:59 p.m., Sunday, August 14th to enter. Winners will be announced on Sunday, August 21st. Sit back, relax, and spend some time with us. The Lemon Tart Trendy Twine is wrapped around the Skinny bag a few times at the time and then I finished it off with a bow. It's pretty simple, but I wanted to show off the pen in the Skinny Candy Bag to show that you can used other things besides candy in these great bags.